The Galerie Stadt Sindelfingen was founded in 1990 as a location for contemporary art, enabling an engagement with current positions and aesthetic experiences. 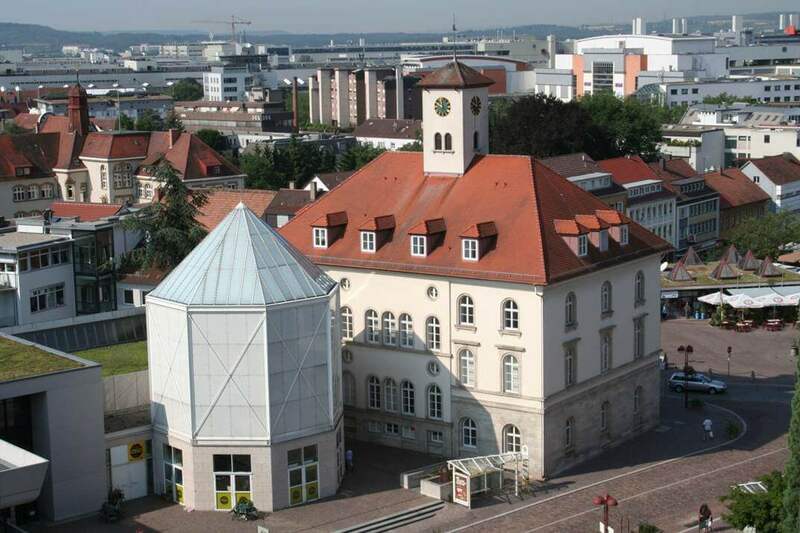 The museum is located in Sindelfingen’s town center in a classicist building that was redesigned as a museum by the Berlin architect Paul Kleihues, supplemented by a new extension, the Octagon. With the Lütze Collection, the gallery holds and has access to significant works of modern and contemporary art. It illuminates artistic groupings like Munich’s Leibl-Kreis and illustrates stylistic developments within New Objectivity and Informalism. The museum sees itself as a space for exhibition and production, with an emphasis on primarily younger positions. In close collaboration with artists, site-specific works and exhibitions are developed within a framework of questioning, and then shown in either group or solo presentations. Current discourse is represented alongside established positions and expanded through new productions. The gallery’s collection is presented in the KABINETT LÜTZE alongside and in light of its temporary exhibitions, providing an art-historical context for the respective contemporary positions. In the SCHAUFENSTER JUNGE KUNST, artists at the beginning of their careers are invited to participate within an experimental framework, and to present their first institutional exhibition. Numerous exhibitions and projects are held in cooperation with and with the support of both regional and national institutions and partners. These include, among others, the Institut français Stuttgart, the Kunststiftung Baden-Württemberg, Kunst + Projekte Sindelfingen e.V., Kunsthalle Mannheim, Staatliche Akademie der Bildenden Künste Stuttgart, Arndt Gallery Berlin, Neue Berliner Kunstverein, Helmut Fischer Stiftung and Mercedes-Benz Werk Sindelfingen.